Link to Part 1 here! Despite sleeping quite late the night before (12.30-ish? ), everyone woke up pretty early and off we went to have our seafood bak kut teh breakfast at Ah Hock. 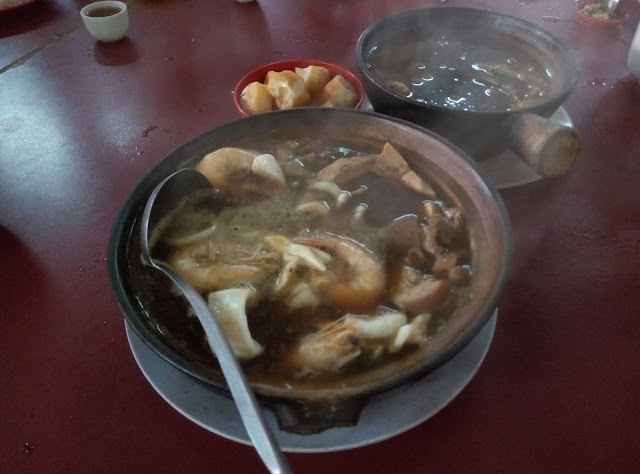 Hmmmm, honestly speaking, Klang BKT (bak kut teh) is so much nicer! This was my first time trying seafood BKT and I've been really curious about the taste, and it didn't disappoint.... On the curiousity, I mean. The taste was, hmm, some kind of different that it's in the 'been there done that' list, so nope for second time. BKT and seafood just don't add up lah in my opinion. 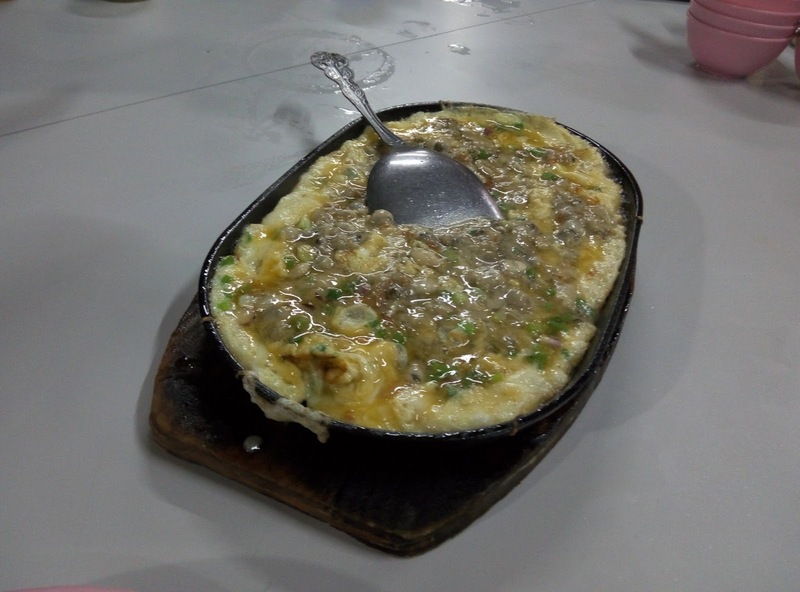 We ordered two pots of BKT, one was the seafood version and the other was the original pork version. I think because of the seafood, the broth didn't taste as good and the seafood also didn't taste that good, not even the prawn. It just isn't my cup of 'tea'*, if you know what I mean. 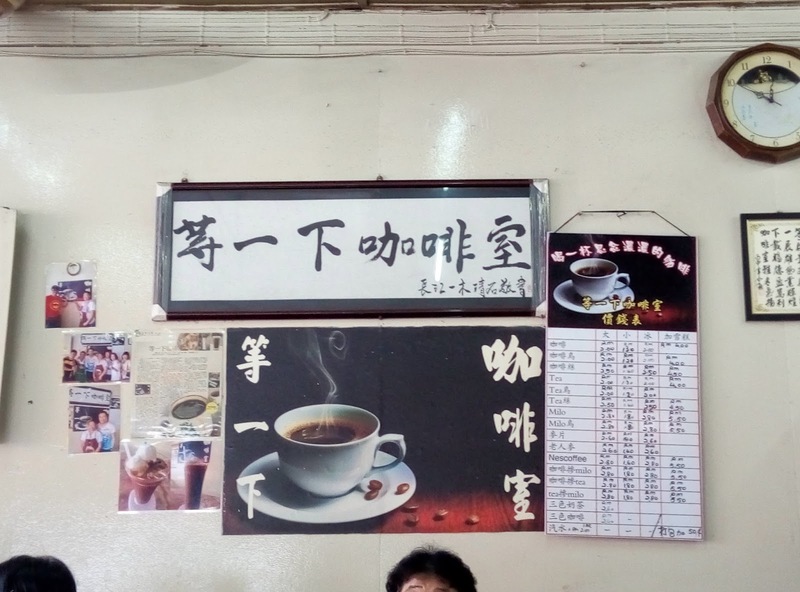 *Bak Kut Teh stands for pork, bones and tea in Hokkien. 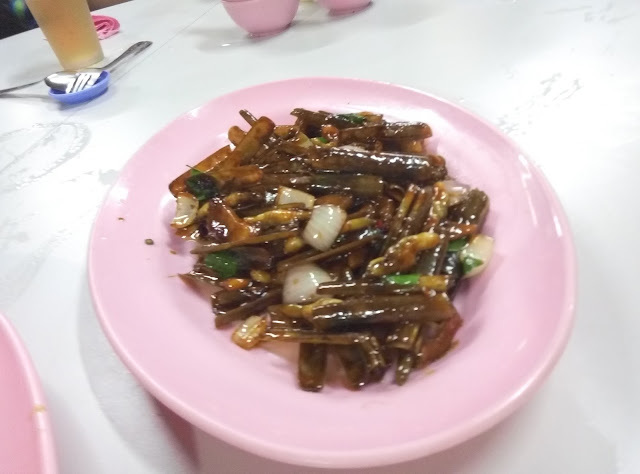 It is a famous dish, especially in Klang. 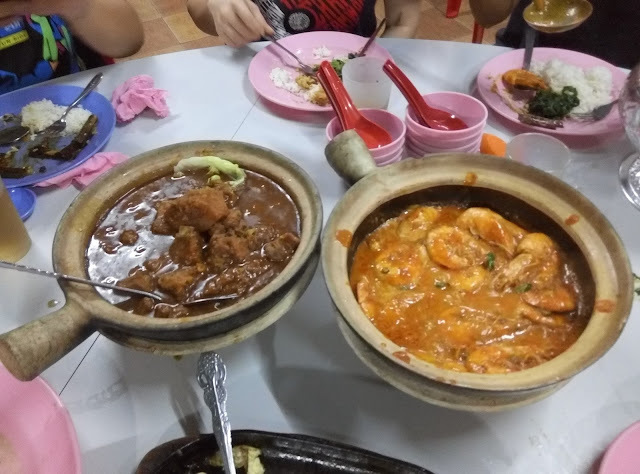 One of the history about this dish is that, the coolies working at Port Klang would cook up a pot, throwing everything edible they could get with some herbs and spice as their main food. I made an unwise decision of not bringing an extra padded pants, so I kinda bugged Hon to give me his "Pleaseeee... I wear your pants you ride SR saddle lah*" and he obliged. *SR saddle, in full name Selle Royal, is a range of bicycle saddles that is, according to Hon, 'good stuff''. A friend upgraded the saddle before she sold the Lerun bicycle to Hon. 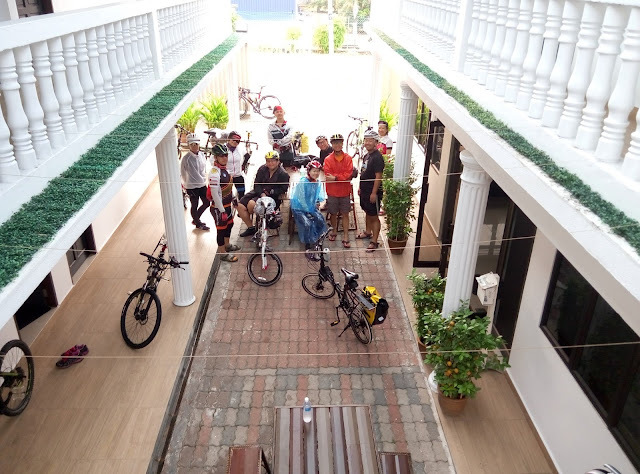 The first pit stop was Arowana Tapioca Factory. Woohoo we had the whole place for ourselves!! ...and another family. I didn't expect the place would be so empty on the first day of Raya. I thought that's when people (non-Muslim in particular) comes out for getaway or something... 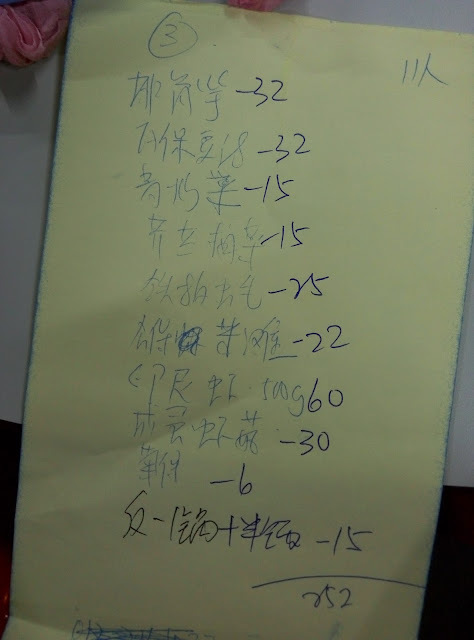 The shop was literally empty, the production line in the factory was not in demo, it's just us~ So we did the fun thing of trying ALL the samples, nit-picking "他们讲现做现卖，骗人的咯" etc. The chips were really nice, honestly. 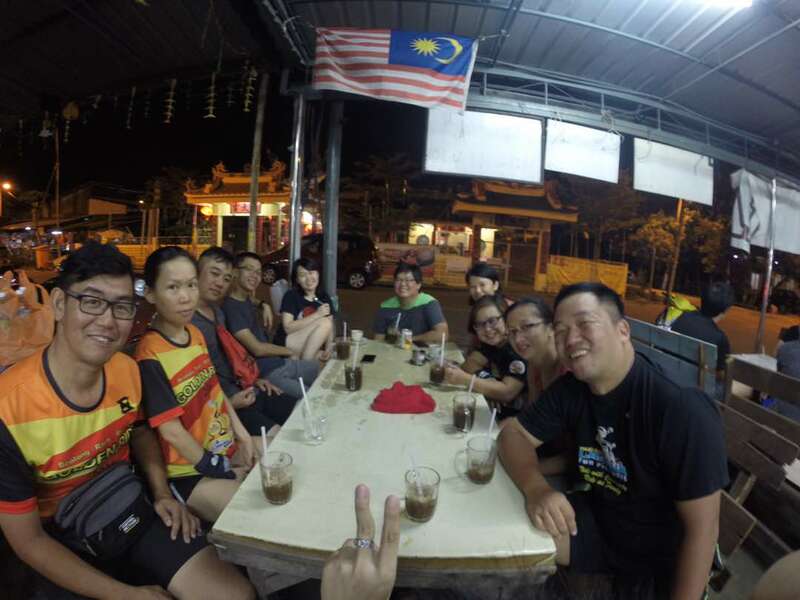 For 20 km, the nothingness, comparing unfavorably with Bukit Jugra - Morib route, ensued. That stretch of Federal Route 5 was undeniably in quite a good condition with motorbike lane, but oh damn that road doesn't have shades AT ALL!!! 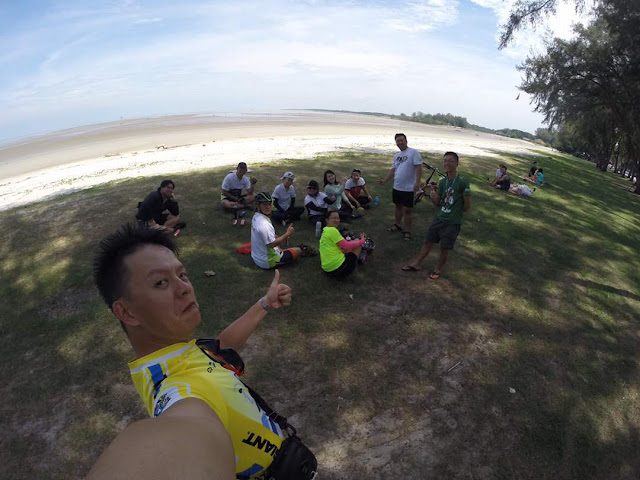 OK lah there are trees here and there but the one tree appeared 10 km later and one tree every 1 km like that DAMN! Even a shabby shade also really precious. To make matters worse, not only there's no shades, there weren't even shops or stores or mini markets or petrol stations on that stretch of road, and even if there were, it was closed. This drove everyone insane a little haha it was like we headed towards nothing! 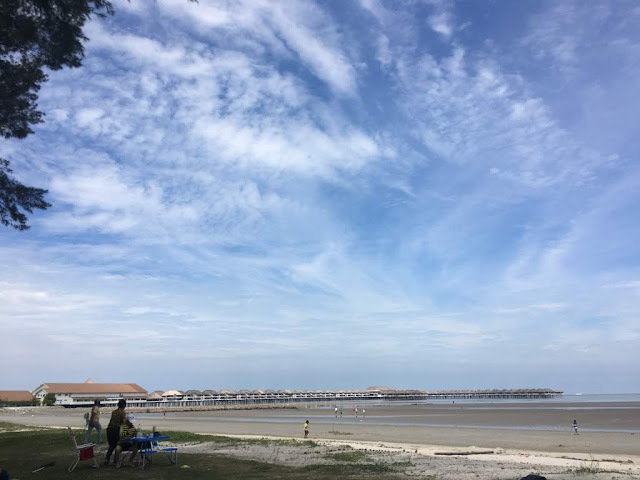 We made a detour into Bagan Lalang for 'treasure hunting', in hope of finding shops selling water. I expect there would be some shops along the way since we were heading towards a tourist place - a beach, but, nope. 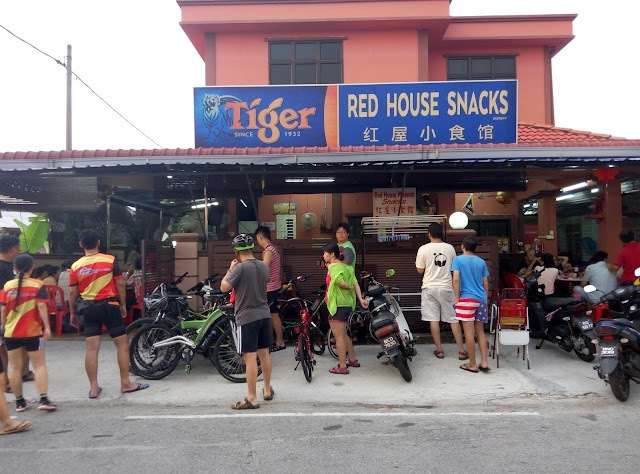 Fortunately, we found a closed kedai kopi which is attached to a house and the owner was around, so we asked him to sell us some water, which was god-send! He invited us over for a Raya treat but we had to get moving so we declined. 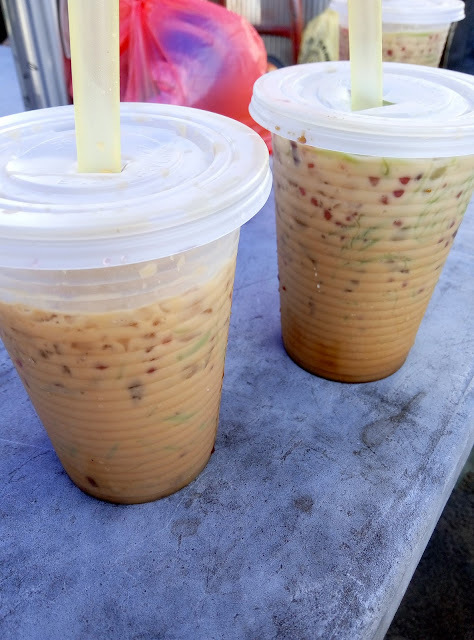 This cendol was seriously god-send!! 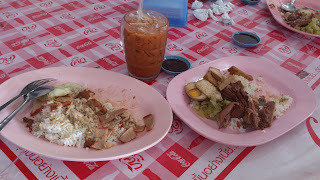 The first thing we looked for when arriving Sungai Pelek town was - LUNCH! Before that, we saw a god-send cendol mobile stall by the road so we just had to have that! 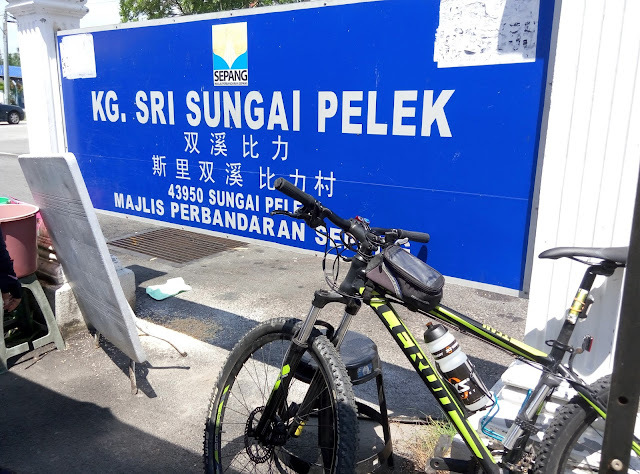 I leaned my bike against the Sungai Pelek signboard which was right next to the stall but not under shade. 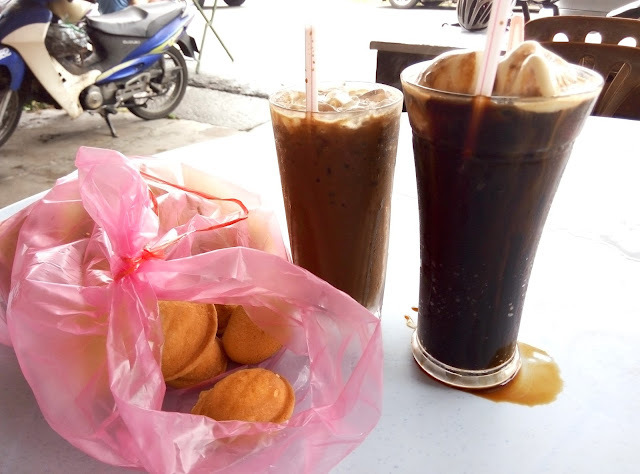 We were eating our cendol, chitchatting with the cendol stall uncle, him reminiscing his old days of how he and his friends went on bikepacking back in the 80s, when suddenly there was a loud *POP* at our area, like someone threw firecrackers toward us and everyone was surprised, even the pigeons! LOL The cendol stall uncle was like "who did that!? They even scared the birds!!" That's when I noticed there were some threads sticking out of my bike's tyre, I touched it, pulled it, and realized "DAMN Hon it's your bike's tyre lah it PECAH!!" Apparently, according to the owner Hon, the tyres, Schawlbe Smart Sam, both front and back, were supposed to be replaced early of the year because of its shell life or something. And. He. Did. Not. He thought of changing them in the morning of our Day 1 but it would take at least 30 minutes and we were running late and he decided against it. The gang were like "WOW blogger you got story to write dy!!!" hmmmm yeah I donno, unlucky yet fortunate I guess? Everyone was a little panicky, we moved the bicycle to the side, and I have to say we have a great touring team!! Everyone look at the problem as if it's their own, help in anyway they could, and it was awesome!! 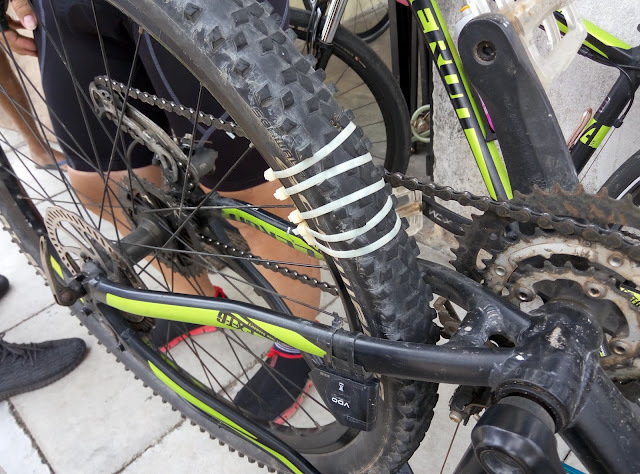 Hon brought only the inner tube but not the tyre, so it only solved one problem. 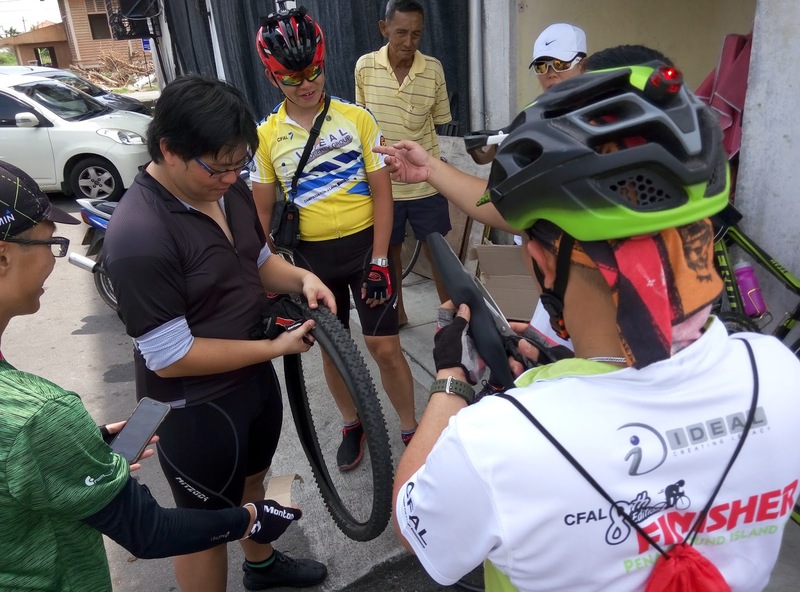 One local uncle saw us and asked about what's going on, decided to help us out by going to see if a bicycle shop nearby was open. He came back shortly after saying the shop was closed, but he's gonna go to the owner's house to ask him to come over. OMG uncle are you an Angel? 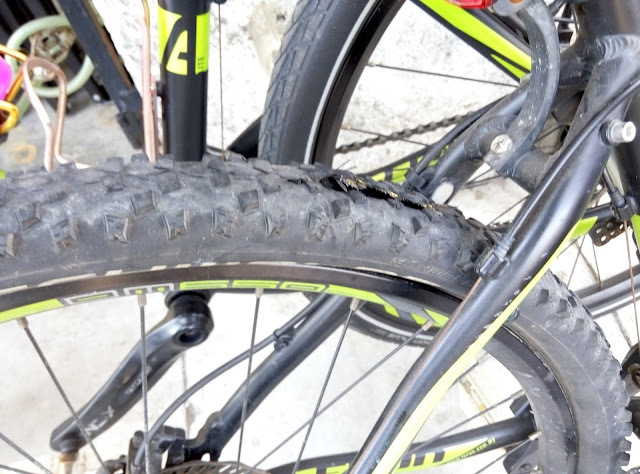 The shop owner came, he looked at the tyre and unfortunately his shop didn't have the 27.5" size tyre, so we had to think of a way to tackle the burst tyre. but you did so much! So this bunch of engineers + biz owners + foreman throwing ideas here and there about fixing the burst tyre. Thankfully Jeffery works as a car repair shop foreman, so while the other fellows were like "maybe we can do this, put that, so theoretically it gonna work", he went down and "let's do it!" Haha... Like in the real world lah, when the engineers come up with a proposal, and the technicians do it. They shared the idea of fixing a tyre by layering it with leaves or newspapers etc but it's just theory to them until NOW! =) First, cardboard was tear in stripe and layer them down on the part where it peach. Then cut the burst tube into stripe and layer it on top of the cardboard to prevent scratching. Put in the new tube and pump just as enough. Lastly, tie cable ties over the bursting part to prevent the 'wound' from opening. The problem was fixed in less than an hour! I had to be the one to ride it as heavy rider wouldn't do it any good. We had our lunch at Restoran Mathi and hang out while waiting for the sun to chill out a little. Riding back to Tanjung Sepat was a challenge, like in the first 2 minutes haha! Seriously it didn't feel any different, the ride was like riding a normal bike. Thankfully half way through, the clouds started to crowd and they hid the sun a little woohoo! We got back in one piece, just like day 1, rest, bath, and head back out for dinner at Red House Snacks. The place was full and we kinda reserved a table which would only be available 30 minutes later. 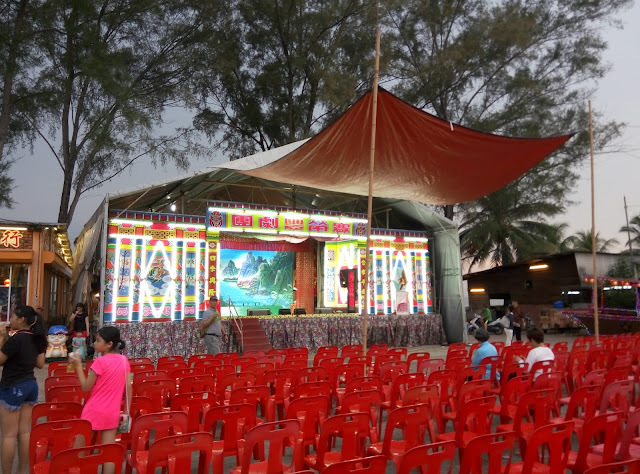 We went to hang out at a nearby temple and they had a Guangdong Opera (Is that how it called?) sponsored by someone. The show started at 8 so we didn't watch it. 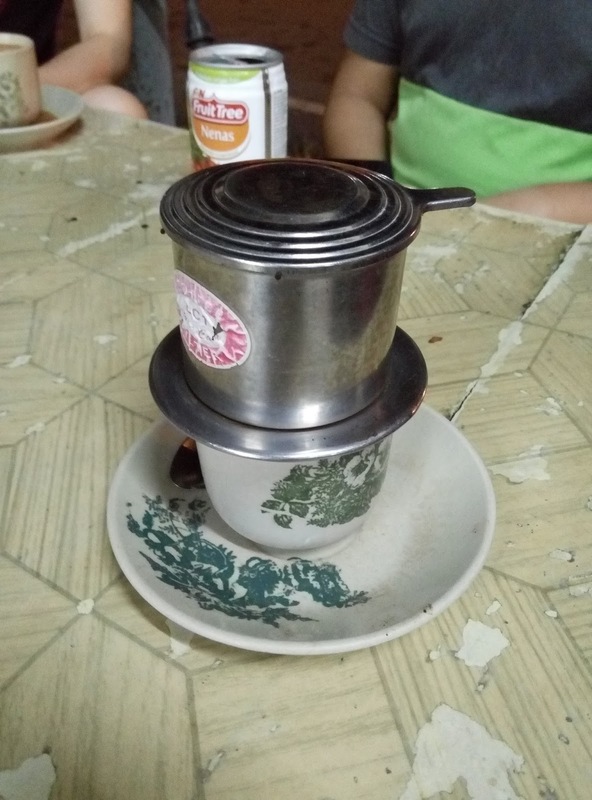 After dinner, we had a coffee time at a shop called 'Miss Vietnam 越南妹咖啡'. They have all sorts of drinks but since it was on the signboard, we had to order their Vietnam coffee loh right... Hon ordered a local coffee so we could taste the difference. The taste was really overwhelmed on the first sip! And the overwhelming continued for the next several sips until the end haha. We ended the day with the tapioca chips, gua zi, and me learning how to play lami aka mahjong rummy. 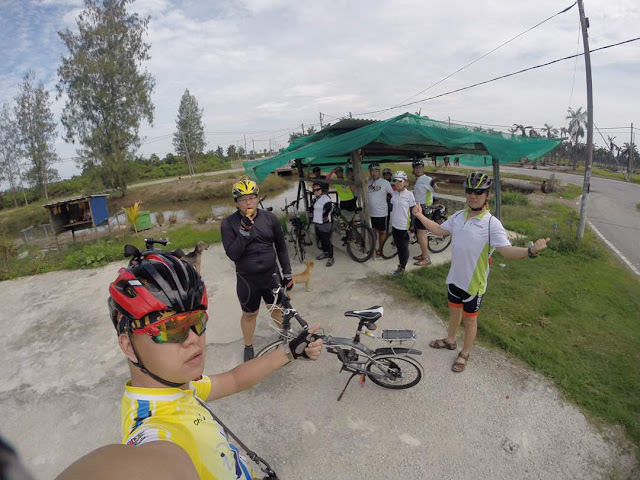 We didn't want to risk riding back although the tyre seemed to work perfectly fine (let's not forget there was 20-30km of nothingness and we had another 20km to go than the rest of them), so Hon asked his sister to drive over and 'rescue' us. Bye bye guys!! Enjoy the 70km back! 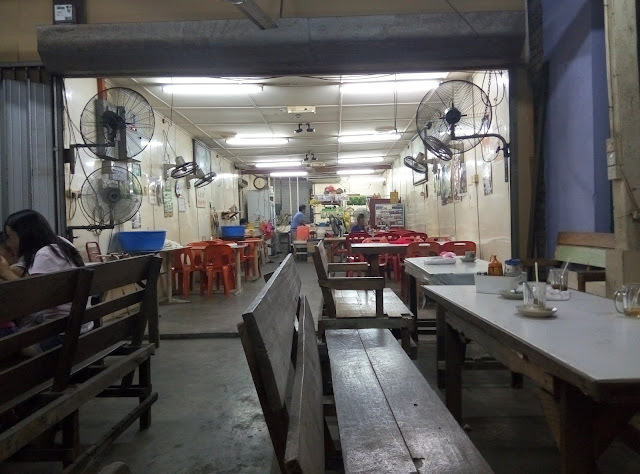 Since the sister and family needed some time to come over, we went to the 'famous' 等一下咖啡室 Kedai Makan & Minuman Kian Heng to lepak. The meaning of the chinese name of the shop is 'Wait for awhile', which was also the pet phrase of the shop aunty. "Dan jit eh dan jit eh dan jit eh" whenever someone orders something lol! Initially this was where the gang wanted to have breakfast at that morning, but Rex Googled it and Google told him the shop was closed on Monday, so we went to other place. When Hon and I explored around town, I found that the shop was opened after all. So we sent over pictures to make them jealous muahaha! The shop was at the intersection of a very busy lane where the famous Hai Yew Heng 海友兴手工包 was located, so we sat at the table outside overlooking the intersection, looking at the chaotic traffic while sipping our coffee. A couple of local uncles came over to join our table, and we started chitchatting. As a local, they couldn't understand what is so great about this place that people from town swarming over. 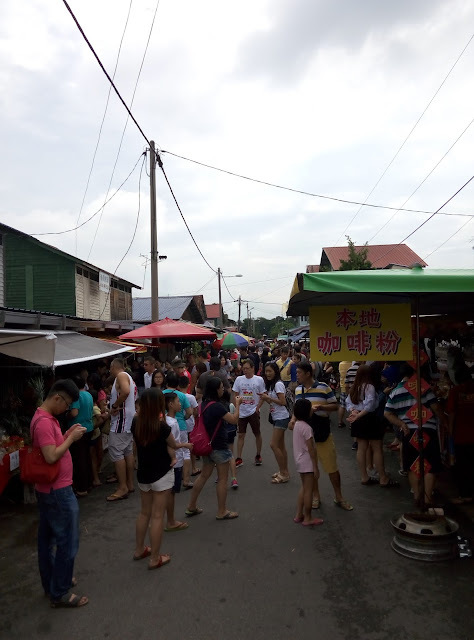 The increase of tourists, which benefits 2% of the population in Tanjung Sepat, makes everything expensive and the rest of the 98% of the population feels the price hike on their throat (when WE thinks the food here is cheap yikes). They told Hon they would go to Klang for food why do you come here? Hahaha uncles very frustrated. Finally, rescue came, Hon fixed the bike on the carrier (first time! He didn't even unbox it!). 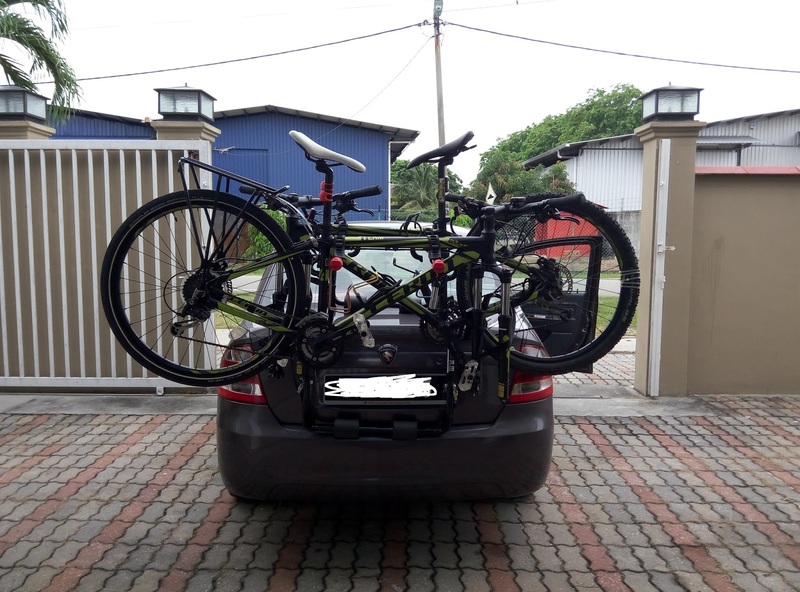 Both mountain bikes on the carrier was a little too heavy that it dented the bumper a little (fixed with hot water pour on it). We stopped by the busy lane for the sister to shop, had lunch at 家乡小吃, went to the tapioca factory (which was a nightmare!!) and off we went home! Most text quoted from the awareness notice in UniMAP's portal. Nama Tempatan: Semut Semai, Semut Kayap, Charlie etc. In places where paddy fields are everywhere (for example:Perlis), those paddy insects are one of the things fear us the most and we are most familiar with. During some specific periods, we will face insect and bug problem which make our life quite miserable and itchy limbs and body is common. Luckily I don't have sensitive skin, but some of my friends suffer endless itch and some even has swollen 'wound' due to the insects. This time, another type of insect attacks again. Now they require a verification letter (again) from students aged 24 years old and above before applying for the card. Form can be downloaded at the link above. The annual fee is still the same old RM35. I've kena several kinds of conductor when they check the ticket, some just trust me and don't require to see the card and IC, some asked for IC, some asked for the card, some asked for both. It all depends on luck. 1) All trains to-fro Padang Besar no longer stop at Penang, which means no more forward facing then back all the way to KL yay! 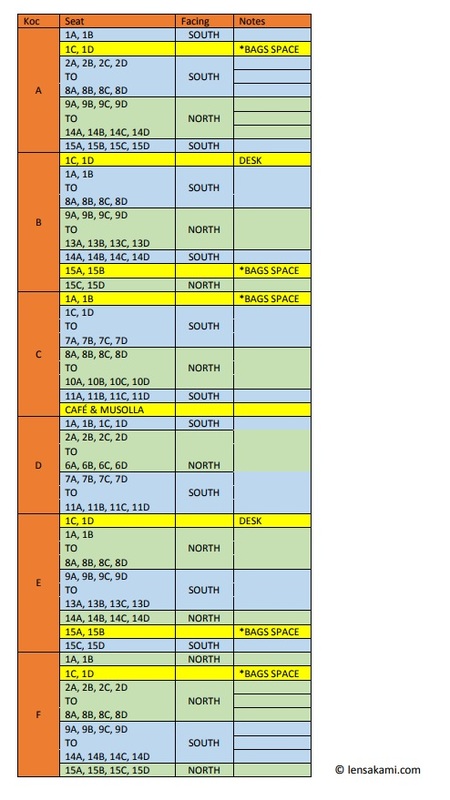 2) TIPS in selecting forward facing seats!!! The nice blogger from lensakami provides this crucial info! On Friday, Wesak Day, we (me, CK, Voon and BeeYing) went to Danok for a day trip. It was initially a plan to have the cheap steamboat after I had one on January, but, you know, delays and delays happen. Until one day, we had enough and decided this is it!! Since CK has been there few times at night, I have been there once at night, the other two never been there, and they can NONE about description or recommendation of day trip in Danok online, we decided we gonna give it a try (a day-trip try). Departed from Kangar after breakfast around 9.30AM, reaching Bukit Kayu Hitam about an hour later and traffic jam!!! It took us around one hour (!!) for a journey of 200 m to reach and cross the Malaysian border checkpoint. SO many people were going 'overseas' on the 3-days long weekend plus school holiday.